1. 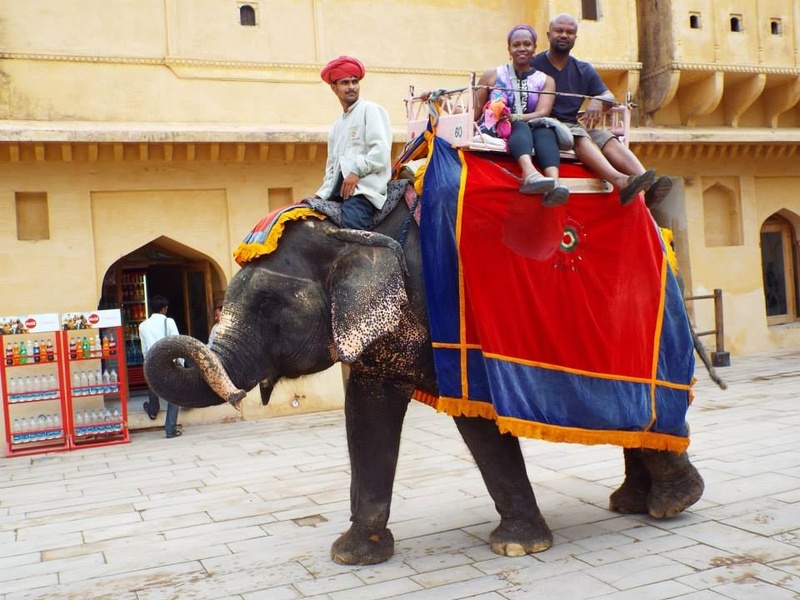 We rode our first ( and last) elephant uphill to the maharajah’s amazing hilltop Amber Fort. The elephant was a baby, at just 26 y.o. The engineering that went into building this place 600 years ago is astounding. Let’s just say they lived VERY comfortably, using water strategically to cool the palace in the summer, and a combination of lamps, mirrors, and rugs to heat it in the winter. On a side note, we also spotted some more “flies in the chai”, visiting from Texas. As lovely as she was, riding Rosebud uphill was little fun, especially not for T who was squished by yours truly the entire time. 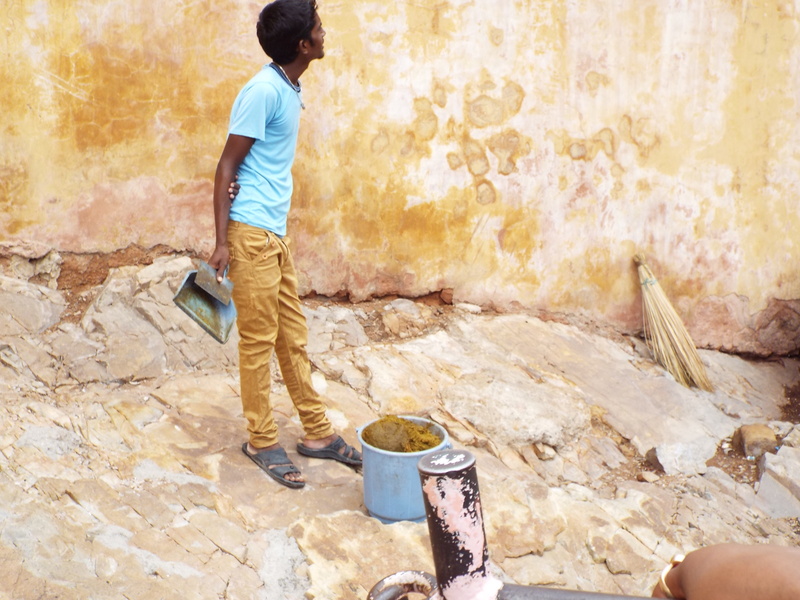 Cleaning elephant dung, one of the many dirty jobs that had to be done. 2. Certain Indian men tend not to talk directly to women, at least from my experience. Our guides, except of course for Vinnie, tended to direct comments to T., even if the questions came from me. 3. It’s Ramadan and we can hear the calls to prayer from our hotel window. It’s a haunting, beautiful sound. 4. 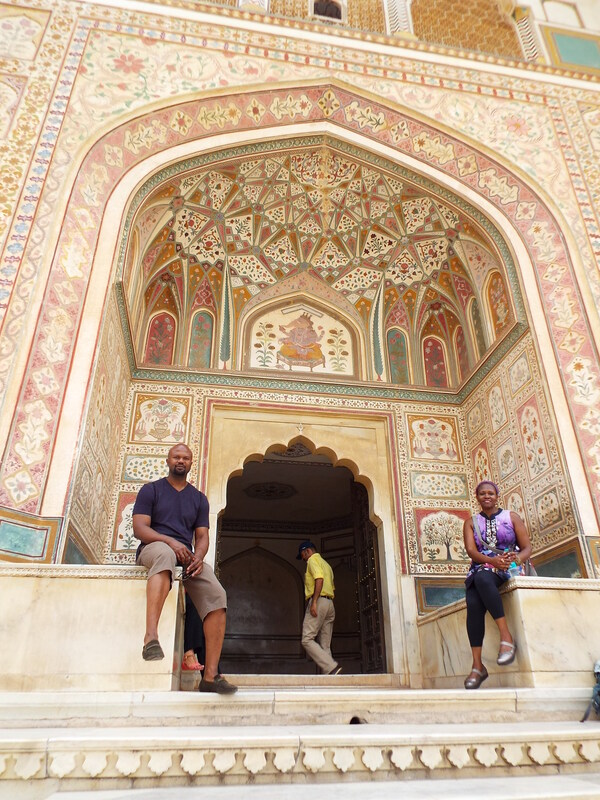 Ashok took us walking briefly through the Old City of Jaipur yesterday. This made driving look positively tame. The narrowest of passageways are deemed suitable thoroughfares for mopeds, cars, even small trucks. It’s every man for himself, and I found myself counting my toes when it was all over. I won’t even get started about crossing the street. 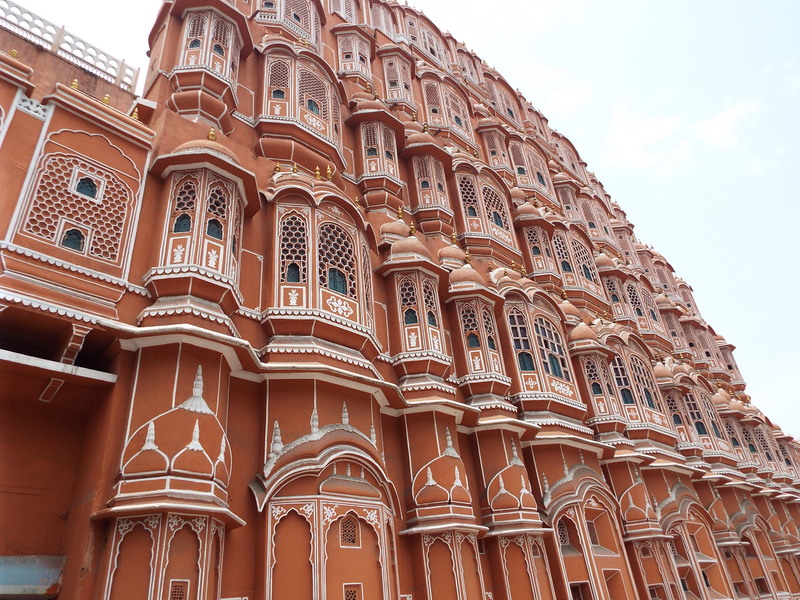 One would never know the chaotic traffic that exists beneath Jaipur’s signature Wind Palace by looking at this picture. We saw countless screens like this in the palaces we visited. The were designed exclusively so women could see out, but strange men could not see in. Talk about gilded cages. I thought these women looked like personified marigolds in their dazzling yellow saris. 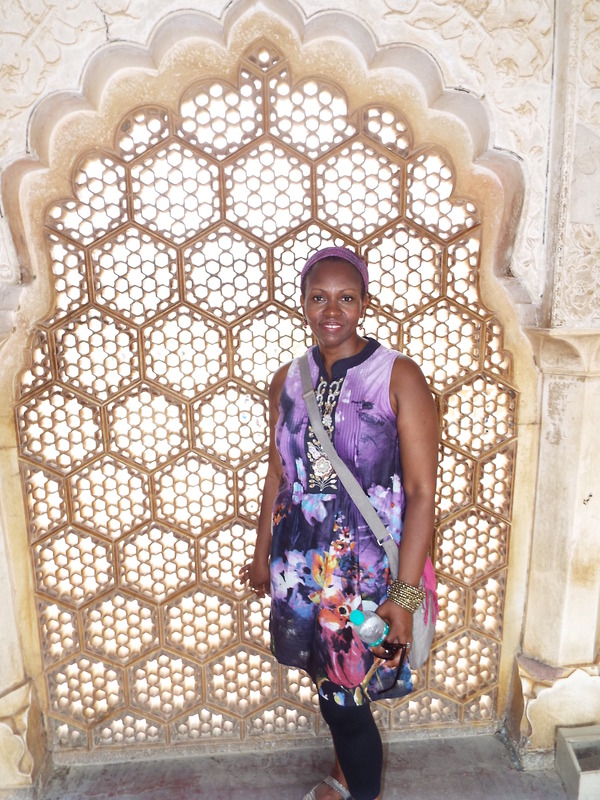 They are actually pretty savvy sweepers at the Queen’s palace, hiding in this alcove and offering to pose for pictures for a few rupees. 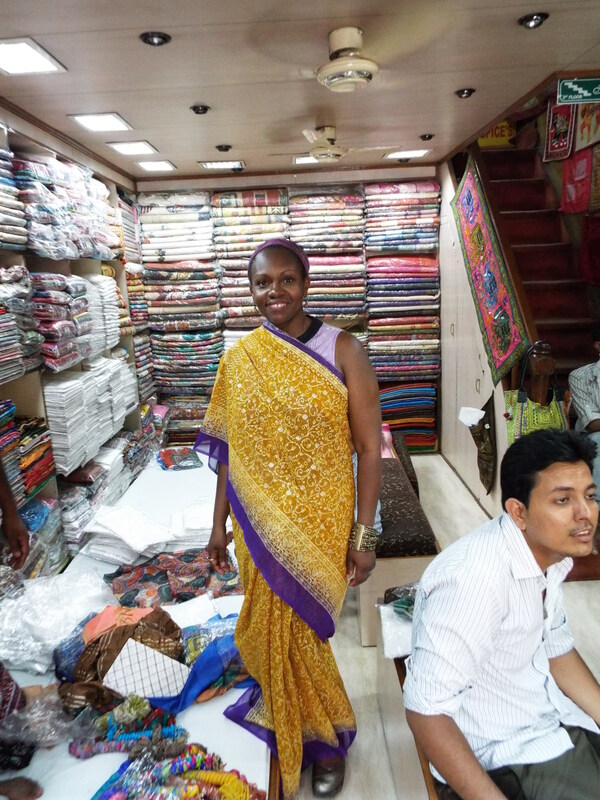 These shopkeepers were sweet enough to provide me this sari photo op, even though I was adamant about not buying one. As I’ve said before, saris are beautiful but one would be out of context in my life.